Shade netting is made from high-density polyethylene, incorporating UV inhibitors to resist UV degradation caused by the sun's rays. 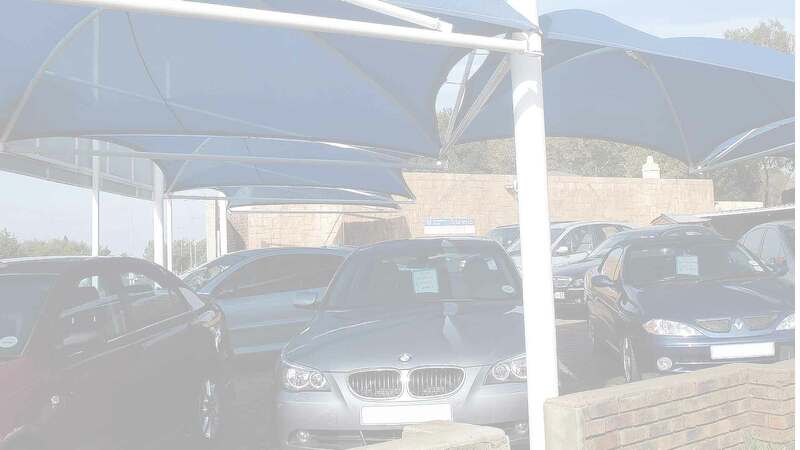 It was developed as a cost-effective and attractive alternative to the traditional galvanised sheeting carport and provides wind, hail, frost and sun protection and boasts a very high water run-off rate, as well as being fire retardant. It allows free air movement, but at the same time provides a shade factor of approx. 90% and can reduce temperature by as much as 10°C. Shadeports usually require little or no maintenance at all. In the event of damage as result of extreme weather conditions or misuse, nets can be replaced as a relatively low cost.